It may be July already but we still feel like it was January yesterday. So we thought why not remind you all of the fantastic new designs we have for 2017, that are available now! That is right our 2017 range is still brand new and now is your chance to grab it while its hot! 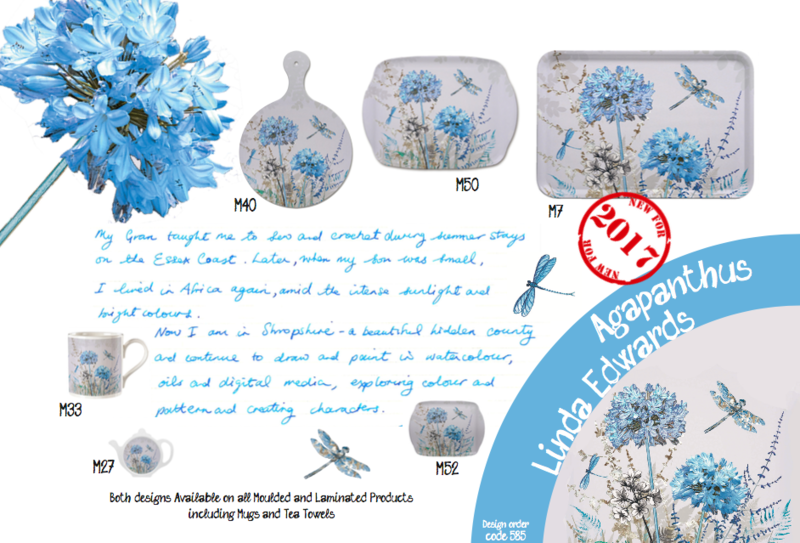 Bring to 2017 two fantastic new designs, ‘Happy Go Lucky’ and ‘Agapanthus’. Originally influenced by her Mother and the birth of her own sun, she now lives in the english countryside and uses that as her inspiration for fresh designs in watercolours, oils and digital. 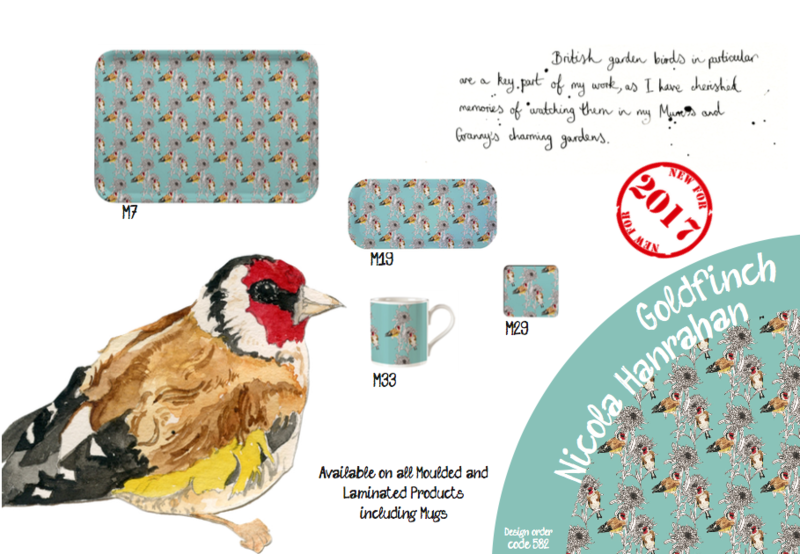 With two great designs fresh for 2017, ‘Tea Party’ and ‘Goldfinch’. Focusing her ‘passion for wildlife, tea parties and delicious cakes’ in to brilliant art, comes from her childhood in Yorkshire with country walks and ‘visits to quaint country tea rooms’. 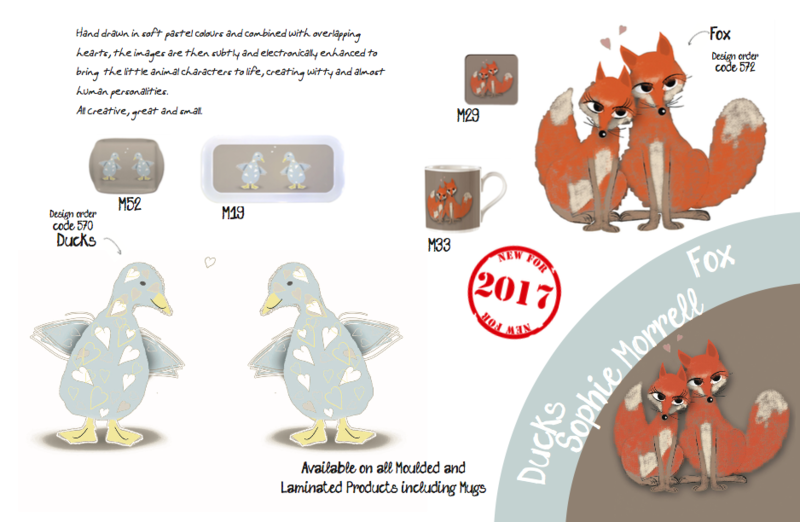 Hitting 2017 with another two brilliant collections, ‘Hedgehogs and Sheep’ and ‘Duck and Fox’. Beautiful hand drawn creatures in pastel colours enhanced digitally to give them their own personality. 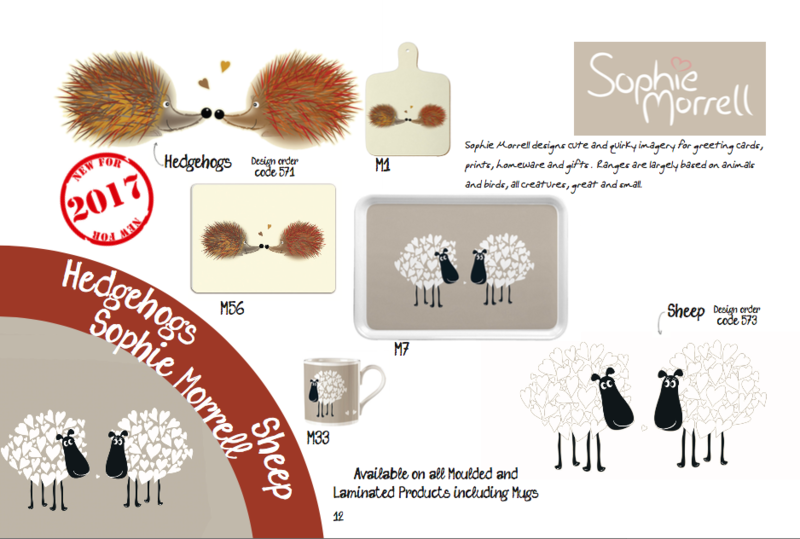 Most of Sophie’s work is based on animals and birds, all creatures great and small. With an addition to her popular first design Anna is really stepping it up for 2017 with ‘Blue and Orange Tiles’. Anna’s plan and hope for these patterns is just to spread cheer with the vivid colours and patterns. 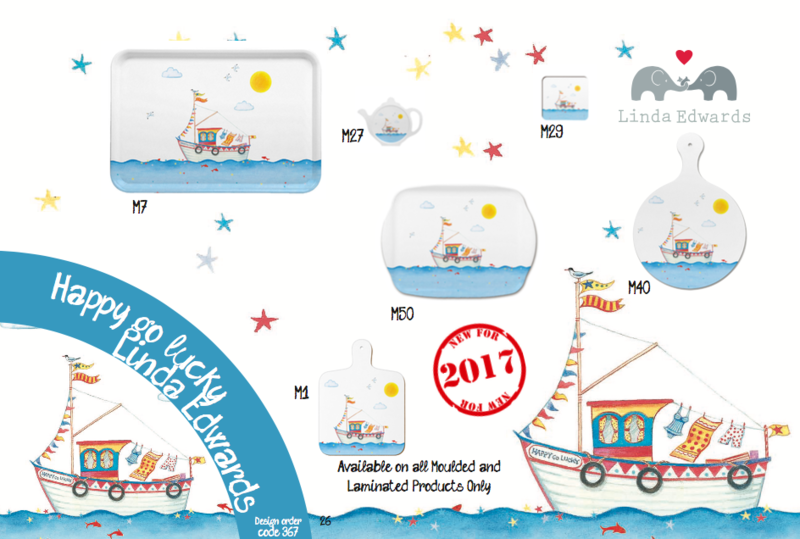 This range is available on all melamine products. 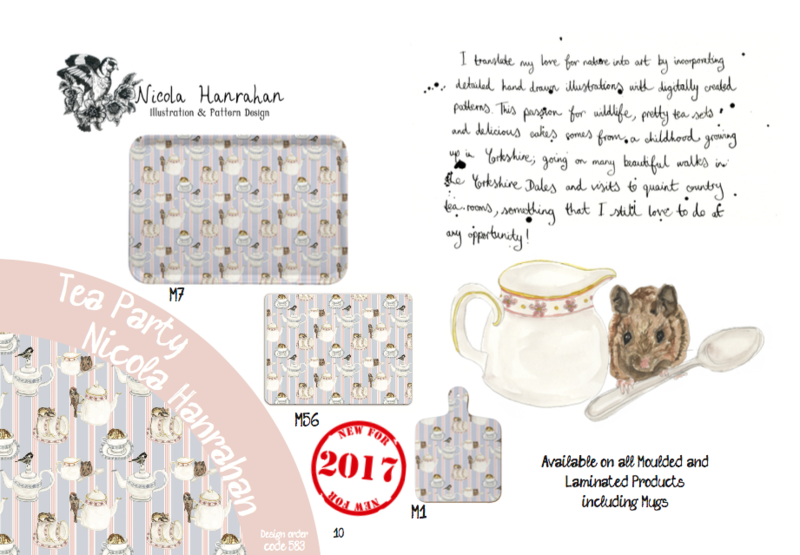 Adding a great collection to her previous ‘falling leaves’ design, Shyama brings 2017 her ‘Flowery poppet’ and ‘The weekend’ designs. Working in her garden studio, Shyama loves finding the ‘random shapes’ created by the surrounding nature in her ‘little urban jungle’. To see more of our artists fantastic work and our quality melamine products or if you are interested in anything you have seen above why not contact us on 02476 724 900 or email us at sales@coleshilldesign.com. Not only can you fill your wonderful homes with our products but we also offer a wide variety of designs available to trade! Thats right we now sell to trade. Wow that sounds great to type it out loud. What we can do for your business is offer a great range of products open for a bulk purchase (at a good price of course) for you to sell in your very own shop, stall or tent. 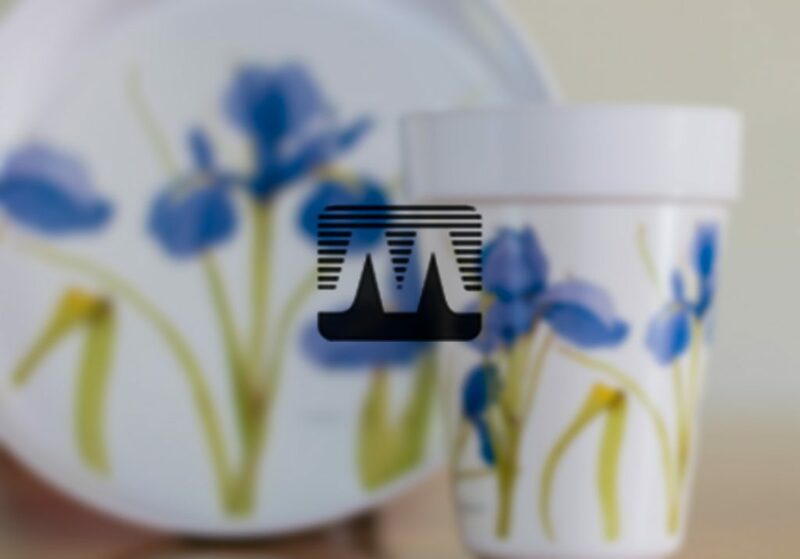 High Quality Melamine Products and brilliant designs are our passion and it is all made on site so we know exactly what is going on at all time (this is great for you, because quality means everything to us). Want to hear more? Well just continue reading. 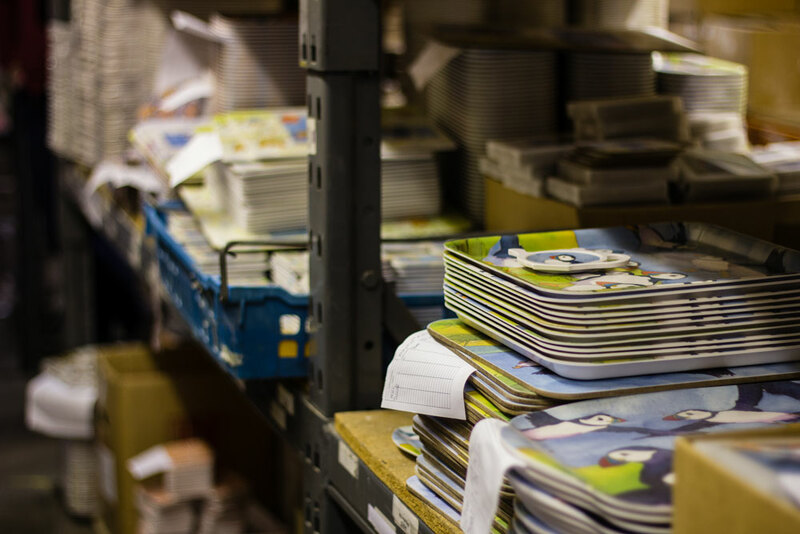 Not only do we offer our own ranges like the beautiful poppy range or our brilliant blue bell range from our artists, we also offer a bespoke printing service where we can print your own logo or design on to our products in bulk for you to then sell them in your own store. Wow this just keeps getting better. Why stop now? Open your Trade Account today and start expanding your business. So to hear more why not have a look at our Melamine Product ranges or find out more about our Bespoke Melamine. If you are ready to make your purchase or would like to speak to us and need some more answers contact us on 02476 724 900 or email at sales@coleshilldesign.com.